Do you ever buy coffee from the vans dotted around Perth? Do you ever go to the mobile coffee vans/shops around Perth? On occasion, when in a hurry and in desperate need of a caffeine hit! 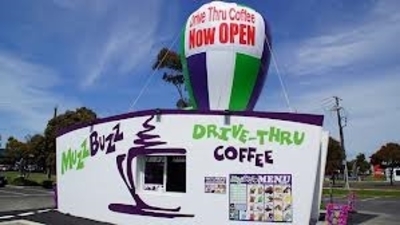 Some of their coffees are really nice at Muzz Buzz -I have them mainly in summer and the iced ones. I rarely get a hot coffee as my cappuccino machine at home, is far better coffee -get it sent from Sydney to Perth every few months and have been doing this for about 40 years! Wow Finy,for 40 years! It really must be great coffee! I may need to buy some shares in the firm! No, I didn't notice them while I was last in Perth, but that was only for 1/2 a day, when we'd caught the train up from Fremantle. Yes. However I mostly do this while driving out of town. Have you been to and shopped at Lakeside Joondalup?